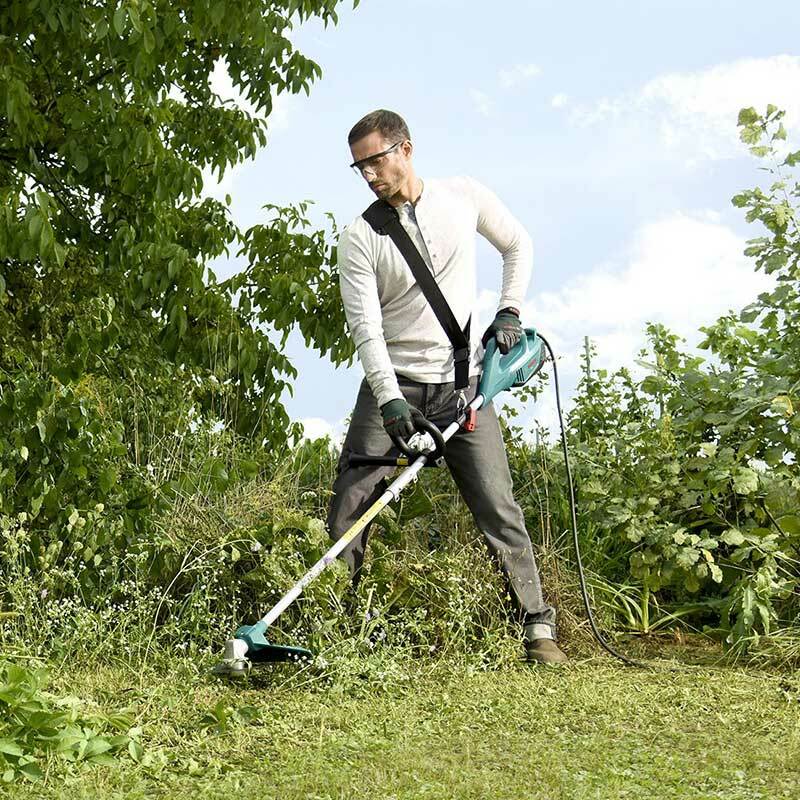 The Bosch AFS23-37 Electric Combination Trimmer and Brushcutter uses a blade or a dual fixed line, depending on the requirement, and is suitable for any kind of trimming, from normal grass to stubborn growth and established weeds. 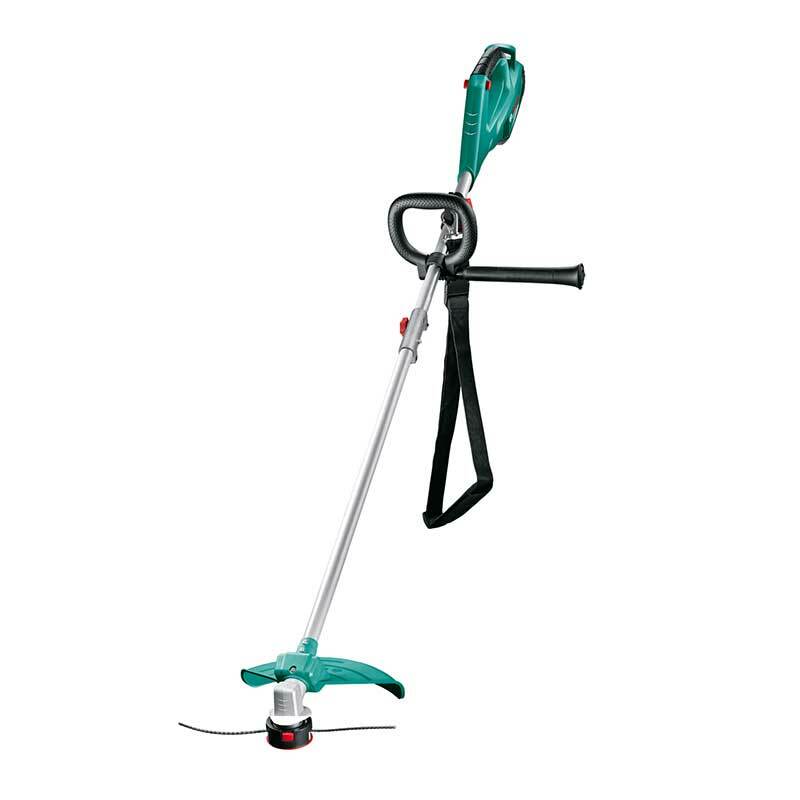 The blade has a cutting radius of 23cm and is suitable for removing scrub. 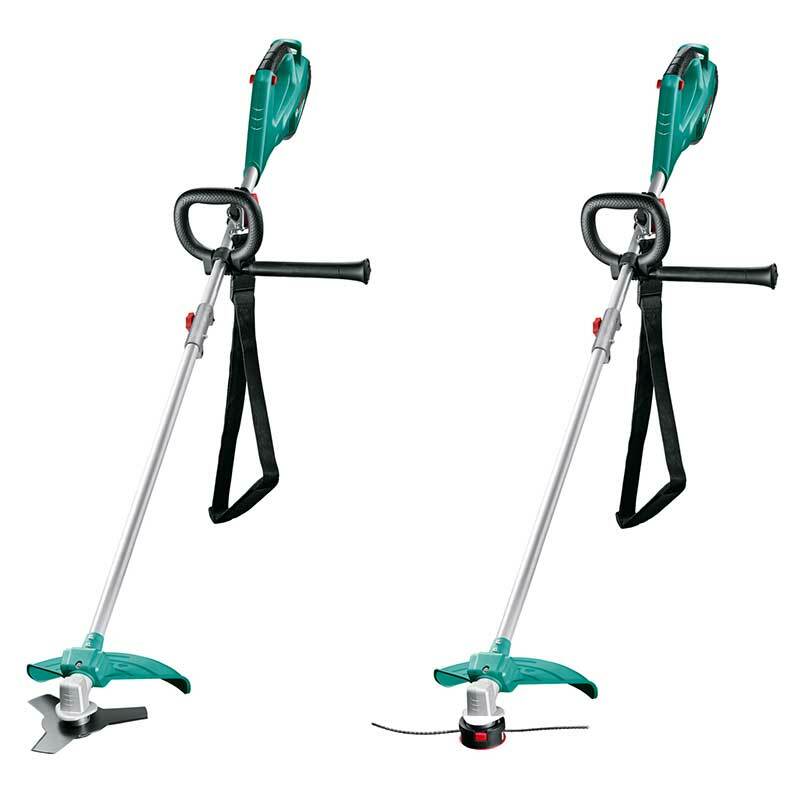 The dual fixed line delivers a cutting radius of 37cm and reliably removes grass and weeds. Changing between blade and line is easy, because the blade guard remains in place. 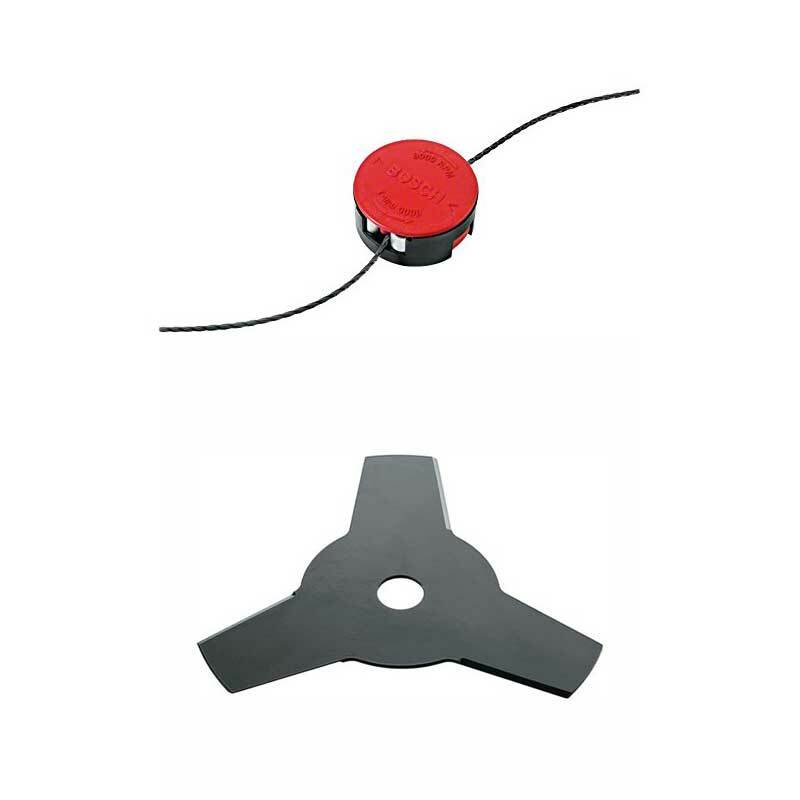 Easy switch between cutting line or blade. 1.3hp equivalent power delivers outstanding cutting performance. Adjustable strap and handle design to provide the optimal tool balance to different users. Easy storage of extra-strong line in safety barrier. The tool has been designed to be well balanced, whilst the adjustable strap and handle make it comfortable to use. The crossbar can be mounted on either left or right side, to fit your needs.